Day 24 brings the letter X, which was always going to be tricky! I decided to write about Xmas, and have found a couple of photographs from years ago! 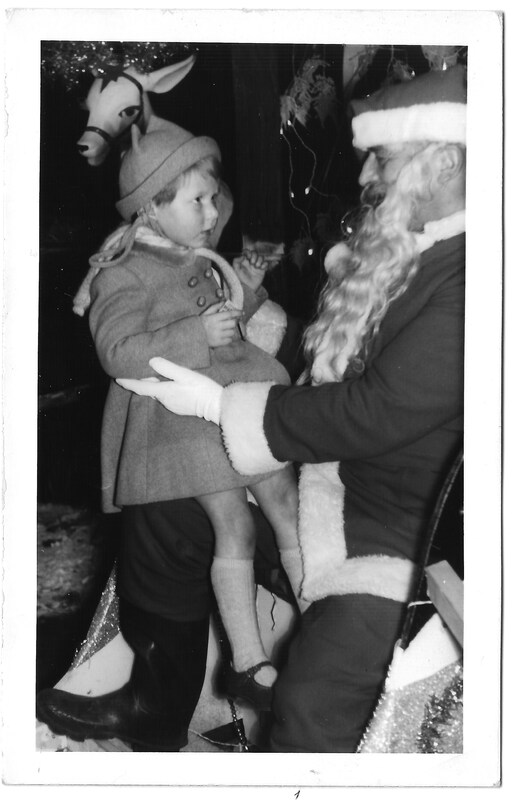 The first one is a black and white shot of a three year old me sitting on Sants’s knee. He looks very friendly, but I still look quite freaked out by him! Maybe I wasn’t quite old enough to realise he was the nice old guy who left a sackfull of presents on Xmas Eve! I have vague memories of being taken to visit Santa each year, in a department store. I would always ask for the same thing – a doll. 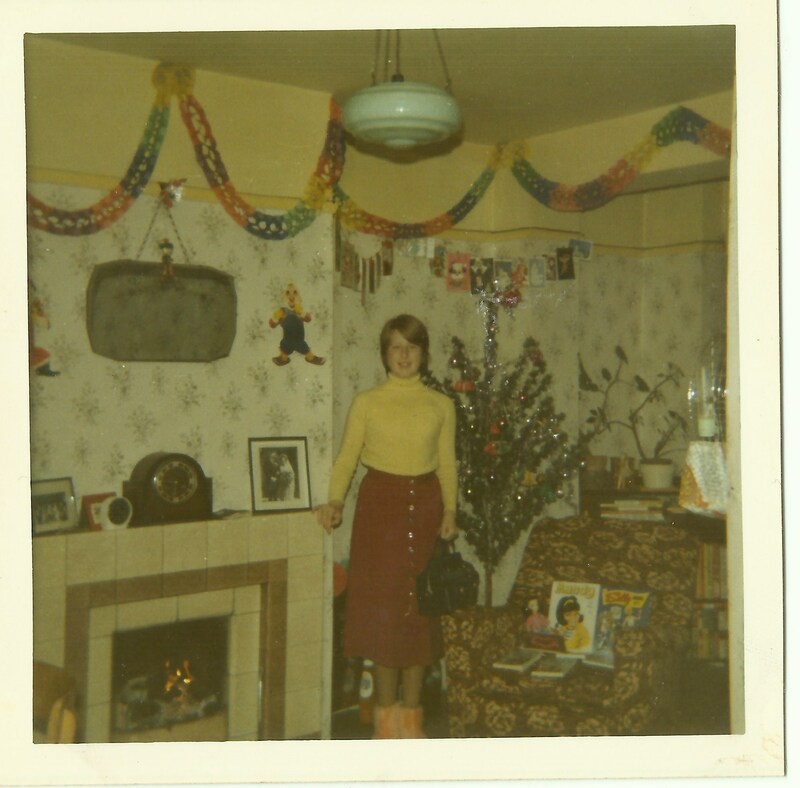 The colour photo was taken in 1970, and was how I remember Xmas each year. The same decorations, tree etc would come out every year. You can see my presents on the armchair: among them books, annuals and Sindy in a new outfit! I also notice the photograph on the mantelpiece of my parents wedding. I’m guessing the handbag I’m holding and the slippers I’m wearing were also gifts! 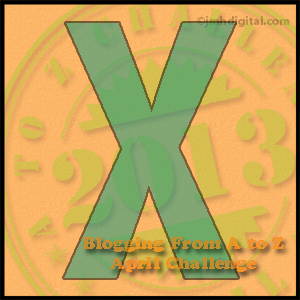 This entry was posted in A - Z Blogging Challenge 2013, Beginning life in Hove and tagged Family History. Bookmark the permalink. I was wondering what you were going to do with X! I love the pix. You look very very cynical on Santa’s lap. I wonder if it’s because his beard looks so fake! The other photo is wonderful. I had a skirt just like that, too. Great photos and X-mas is always a good choice for X. I love that time of the year, and enjoy reading stories.